Proms Lead Up – ULMS Symphony Orchestra! Third term is upon us, and with third term comes revision, exams, and for the members of ULMS, Proms, our annual concert featuring all of our major ensembles and many of our small groups, which aims to showcase and celebrate the musical achievements of the year. This year Proms will be held on Saturday 20th June, and thus despite exams and other deadline commitments, rehearsals are continuing for ULMSers. In the lead up to Proms we will be doing a small feature on all of our main ensembles, about how they’re preparing for Proms and what pieces they intend to do. 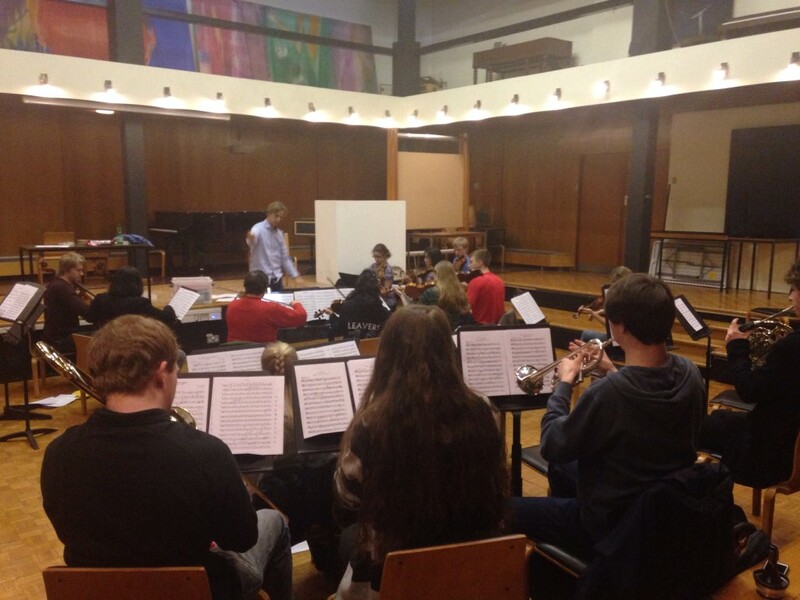 This weeks feature is on our Symphony Orchestra. Symphony Orchestra comprises of both string and wind instruments, and generally plays more traditional orchestral music, offering ULMS members the chance to be part of a high quality orchestra without ever having to leave campus! At the moment it looks like Symphony Orchestra will be kicking off Proms 2015 as our first major ensemble to play on the night. On the night they will be performing Light Cavalry Overture, which is the overture to Franz von Suppé’s operetta Light Cavalry. Although the operetta is rarely performed the overture is one of Suppé’s most popular compositions. In addition to this piece they will also be performing the Imperial March from Star Wars. This is a slight departure from the Orchestra’s normal repertoire, however they have adapted superbly and the piece is sounding great. In addition to these pieces our Symphony Orchestra also make up a large part of the group which play the Traditionals at the end of the night! A view from the kind of angle you might have if you come to Proms…..
As fantastic as they are right now, Symphony Orchestra is looking to recruit more Wind players, especially flutes, so if you play a wind instrument and you think that you might be interested in joining Symphony Orchestra for Proms, then please contact the Symphony Orchestra Rep Lauren Lee, or any other member of the ULMS Committee, who will be able to put you in touch with the relevant people! The Wind Section doing a great job, but looking for more players if possible! I think the Brass Band photos will be of better quality because they have Brass Band on them. Good to see it still going. I conducted the Light Cavalry Overture with Symphony Orchestra in the 1998 PROMS! ← LU Collab Presents: West Side Story!